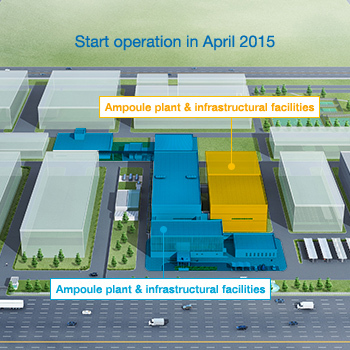 Nipro Pharma selected Hai Phong Vietnam, as the location for its first overseas production. This was because diligent people and reliable infrastructure would be available in Vietnam to achieve Japanese quality, and because the geopolitical conditions of Vietnam would guarantee stable supply systems. Thanks to the launch of the ASEAN Economic Community (AEC), the location is also suitable for developing markets in surrounding countries in Asia. 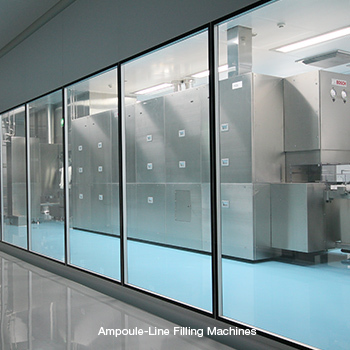 A reliable workforce is indispensable to achieve Japanese quality. Vietnamese people are diligent and are friendly to the Japanese. 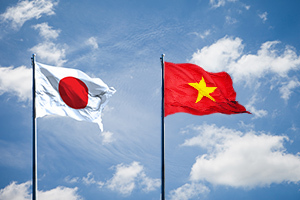 Economic exchange between Japan and Vietnam is also vibrant, and local underlying industries are expected to develop with support from Japanese companies, which will lead to further quality enhancement and cost reduction in Vietnam. Toward economic integration of ASEAN countries, the development of surrounding markets is also expected. Among developing countries, dramatic economic growth is expected in Vietnam. Due to the launch of ASEAN Economic Community (AEC) at the end of 2015, this place is expected to function as an ideal base for developing markets not only in Vietnam but also in other rapidly growing markets of surrounding countries in Asia. NIPRO Pharma Vietnam Co., Ltd. is located in the VSIP industrial complex in Hai Phong, the third largest city in Vietnam. Here, we have infrastructure providing water and electricity of the highest class in Vietnam. A highway was completed in 2015 providing access from Hai Phong to Hanoi, the capital of Vietnam, available in only one hour by car. Cat Bi International Airport became an international airport in May 2016. The direct flights between Hai Phong and Japan will achieve an access in as little as five hours. 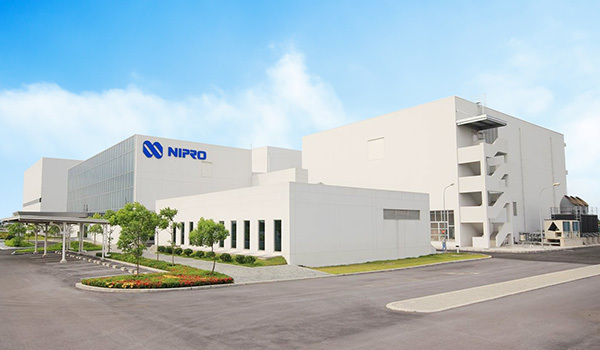 The site of NIPRO Pharma Vietnam Co., Ltd. has an area of approximately 150,000 square meters, equivalent to 18 football fields. 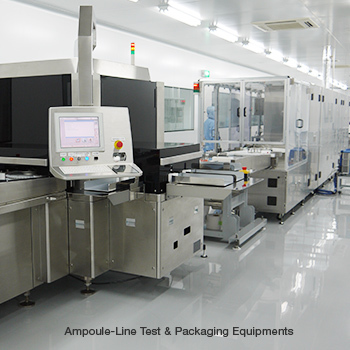 An ampoule plant started operating in April 2015, in conformity with the U.S., EU, and Japan GMP requirements and with PIC/S GMP. 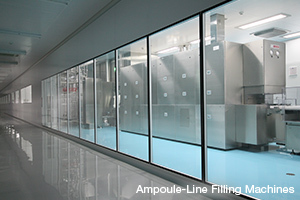 A vial product plant (solution and freeze-dried) started operation in November 2016. The production lines will be further expanded to enable the production of orally administered drugs and external preparations, in accordance with the needs of pharmaceutical companies. 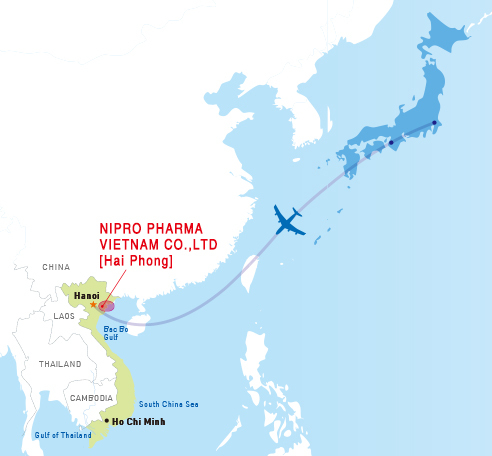 Quick facts about NIPRO Pharma Vietnam Co., Ltd.
Access from Japan:Japan to Hanoi: About 4.5 hours from Kansai International Airport, About 5 hours from Narita/Haneda Airport. Hanoi to our site: Currently about 2 hours by car. A highway will be completed in 2015 and the required time will then be 1 hour by car. Direct flights from Japan to Cat Bi International Airport in Hai Phong will start in August 2015. It takes about 20 minutes by car from the airport to our site. Economic Zone, Hai Phong City,Vietnam.